It would be fair to say that Texas Hold’em is probably one of the most popular poker games on earth. There is, however, another version of poker that is fast acquiring a huge following: Omaha Hold’em. Similar to Texas Hold’em it’s a community card games comprising four betting rounds. The aim is to combine these with five shared (or community) card available to the whole table to create the top five-card hand. There are, however, a couple of very important differences between Omaha hold’em rules and Texas Hold’em rules. Below we will take a brief look at the major differences and analyze how your Omaha Hold’em strategy should be different if you are coming from a Texas Hold’em background. In Texas Hold’em Poker every player is dealt two hold cards. What is vital here is that these two cards can be ranked with relative certainty right from the start, i.e. 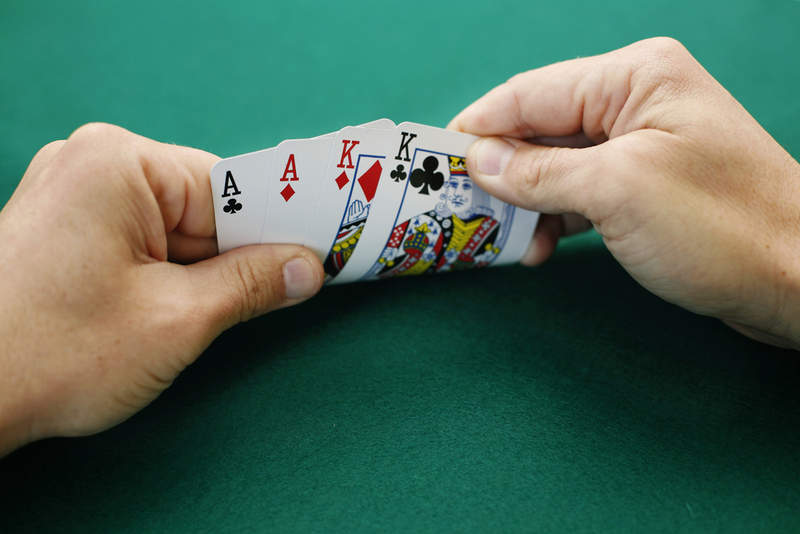 certain opening hands have a higher probability of producing a better outcome than others. In Omaha Hold’em poker, however, players are dealt four hole cards. This might look trivial, but it has crucial implications for your strategy. In Texas Hold’em one has 1,326 potential two-card combinations. In Omaha Hold’em this number explodes to 270,725 pre-flop combinations. If one factors in suits, this is reduced to 16,432 different hand combinations. In Omaha, the idea of playing cards with potential is therefore of much more importance. In Texas Hold’em players who are new to online poker could be easily enticed to see a flop in what might appear to be an appealing hand, but which in Omaha Hold’em is very likely to have decreased significantly in value as additional community cards become available. Take the example of an opening hand where the player has a Five, a pair of Jacks and a Three, totally unsuited. To newbies the Jack pair might appear tempting, but experienced Omaha players will immediately realize that a pair of Jacks is not likely to be sufficient for a winning hand. Add this to the low probabilities of pulling out a straight or a flush from that particular opening hand, such a hand is basically of no use. Regardless of the Omaha Hold’em online site of your choice, patience is the name of the game here. Do not get overly excited by that alluring opening hand – things can, and usually will change quickly from there. What trips many Omaha Hold’em newbies is the fact that the top five-card hand consists of two coming from your opening hand and three from the board. Novices would often e.g. pick a hand such as this: Ah-10h-Jh-8d and the table comes with Kh-2d-7h-6s-Qh. The newbie then assumes he or she has a Royal Flush since they’re used to all cards playing. In this case, however, the best five-card hand would be Ah-Kh-Jh-7h-Qh – i.e. the Ah-Jh fro their opening hand plus Kh-7h-Qh from the board. In Texas Hold’em one would normally want to draw to a hand when you’ve got the pot odds to do that. With Omaha Hold’em you have to put money in a draw more frequently since big drawing hands have higher probabilities. In Omaha Hold’em, when you draw, draw to the nuts. Drawing to weak flushes and straights is never a good idea. Always remain alert when there is a change in board texture. When your flush or straight is outdrawn you might have to get out the pot, unless you can redraw to the nuts. In Omaha Hold’em when the board pairs it might be time to consider folding, particularly if you opponent is showing signs of strength. Position in Omaha is more important than in Texas Hold’em because those in late position not only have more control over the pot, but they also pick up info on other players. In early position one generally speaking shouldn’t bump up the pot pre-flop, since a later position opponent will then be able to pot the bet and force one to play for a much bigger share of one’s stack pre-flop. Late position participants have better control. When another player raises into you, you can punish him or her when you have a hand or flat call when you are drawing. When you play Omaha Hold’em, be ready to have much larger swings than in Texas Hold’em – and generally speaking to play bigger pots. It is not unusual that both your opponent and you have the perfect odds to commit all your chips and let the deck cards determine the outcome. That is part of the games’s appeal. Those who enjoy Omaha Hold’em are people who thrive on action and who don’t get scared by swings. We hope these Texas to Omaha poker tips were useful. Feel free to browse our website for other interesting articles.